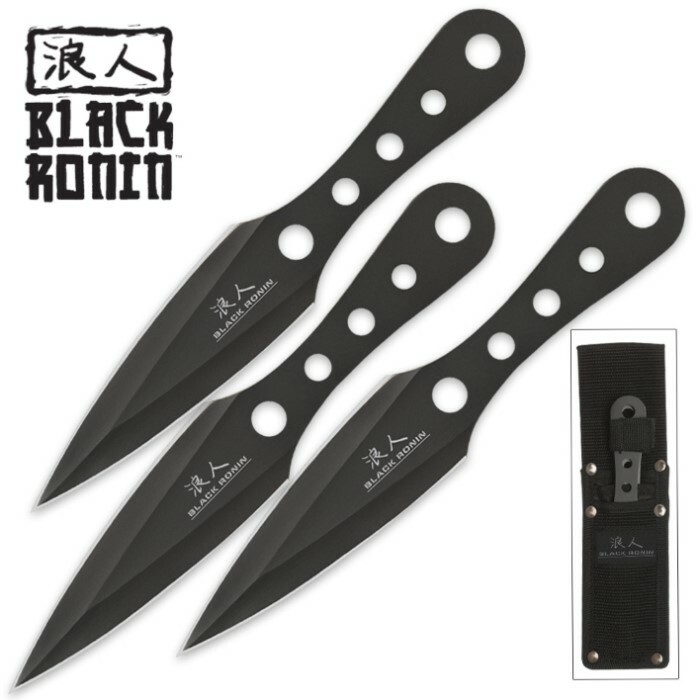 Black Ronin Ninja Throwing Knives 3 Pack and Sheath | BUDK.com - Knives & Swords At The Lowest Prices! 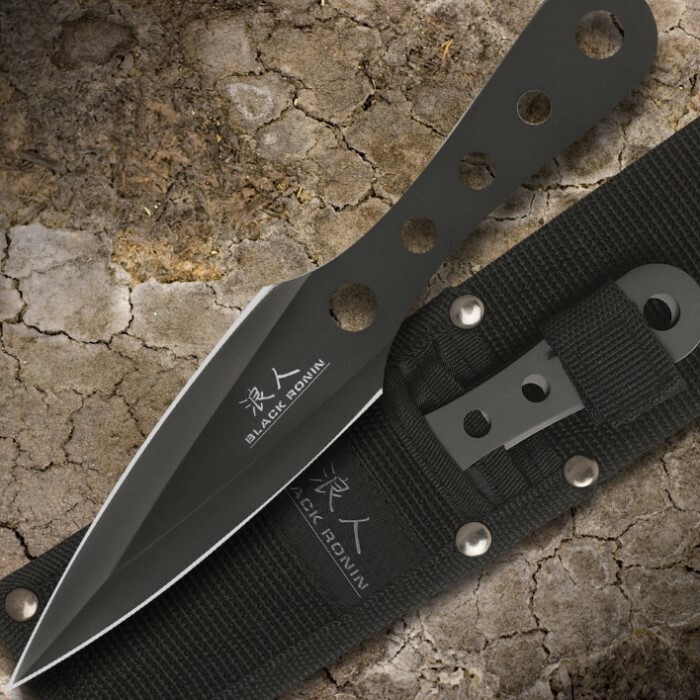 Triple the excitement with this three-piece Black Ronin Triple Bolt throwing knife set. Each thrower is constructed of AUS-6 stainless steel. The 6 1/2" throwers are great for everyday practice and really sail through the air. Still a novice thrower so these were a nice step up from the even cheaper and lighter ones I've been using; good weight and feels nice in the hand. Very nice pieces. Well balanced and cool sheek look. Plus it got here fast. I was expecting it later cuz I ordered during christmas rush season but nope. Same timeframe as always. Two thumbs up guys. Its why I keep coming back. Awesome knives. super sharp great balance and super fast shipping. 5 stars isnt enough i wanna give them 10!!! For 12 bucks, this was a great buy. They came super sharp. I ordered two sets because i liked the price and ill be ordering a few more sets for myself and some friends. I know nothing about throwing a knife, but after throwing them at a tree for about 15 minutes i was getting them tto stick, and they are comfy to throw. Just dont do the stupid thing like me, and throw them at a tree that has the woods at its back and a floor covered in pine needles and brush, because i already lost one. And dont just throw them willy nilly either, because the tips will start to ding up when they hit a stray rock or sand. This was my first set of throwing knives; very easy to use. I got the hang of them fairly quick. They are made very well. These are vary good if you are just starting out.